Lucy is a managing editor at eye to eye media, the company that publishes delicious. 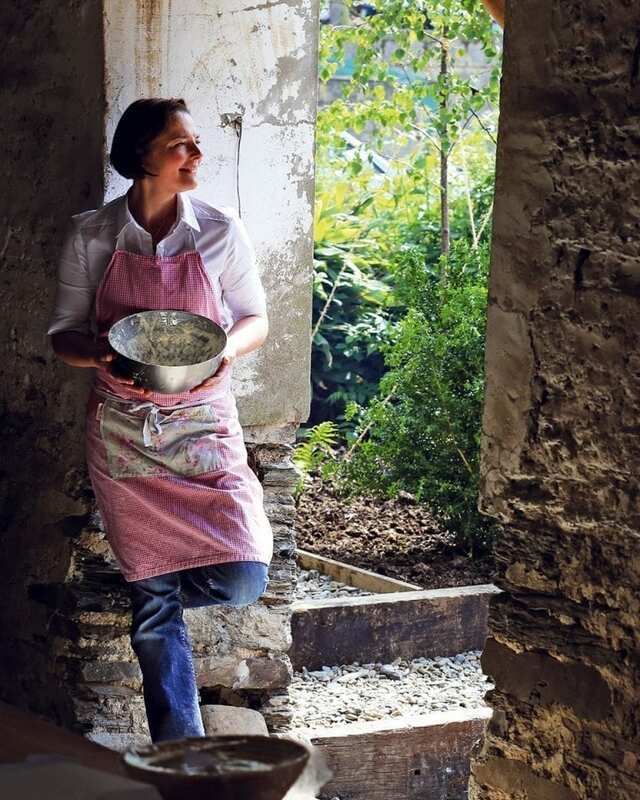 Vic was a keen home baker before she trained at Ashburton Cookery School, then perfected her craft at bakeries across the UK, including the revered Bread Matters in Cumbria and E5 Bakehouse in London. Vic, herself a mother of two, is a natural with children: calm and softly spoken, with an understanding of what piques young imaginations and interests. There were six in the class, eagerly huddled around the large square island in Vic’s country kitchen. The older children (ranging between six and 10 years old) were capable of taking part unassisted, so their accompanying grown-ups were free to enjoy the homemade pastries and fresh coffee. My kids are aged two and four, so I pulled on my pinny and joined in. First up: biscuit making. The ingredients had been weighed out so they were ready to go, but there were lots of techniques saved for the children to do themselves, including kneading, rolling, mixing and cutting out the biscuits. My children loved the hands-on elements. “It’s just like Play-Doh!” piped up my eldest. Once the biscuits were baked, we all (adults included) had fun spooning homemade preserves onto them. Next, Vic had lined up a simple spring rolls recipe. The children delved into prepared bowls of cooked noodles, thinly sliced carrots and beansprouts, gleefully splashing far too much soy sauce into the mix. The assembly was equally enthralling – cutting the filo pastry with scissors, then wrapping up the filling like a parcel. Vic baked rather than fried the spring rolls – the safer option with so many children in the kitchen – while we mixed up a sweet chilli sauce for dipping them into once cooked. At the end of the session, the children were able to take their homemade goodies and recipes away with them. If you’re looking for a way to entertain the kids, this class is well worth the price. Younger children like mine do need help to ensure they end up with something edible, though. 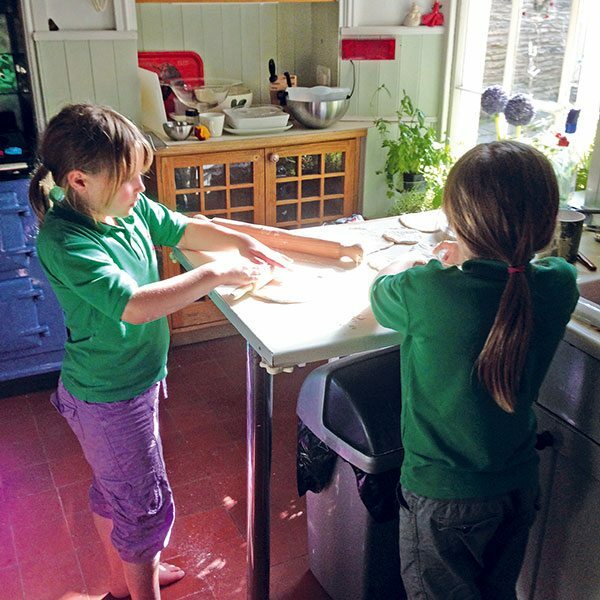 The Children’s Kitchen cookery classes are probably best suited to those aged six to 10 (under-eights must be supervised by an adult). As well as the Children’s Kitchen series, Vic offers a range of adult cookery classes, including weekend and residential courses. Since our visit, Vic has been busy turning a disused cottage in the grounds of the cookery school into comfortable accommodation. 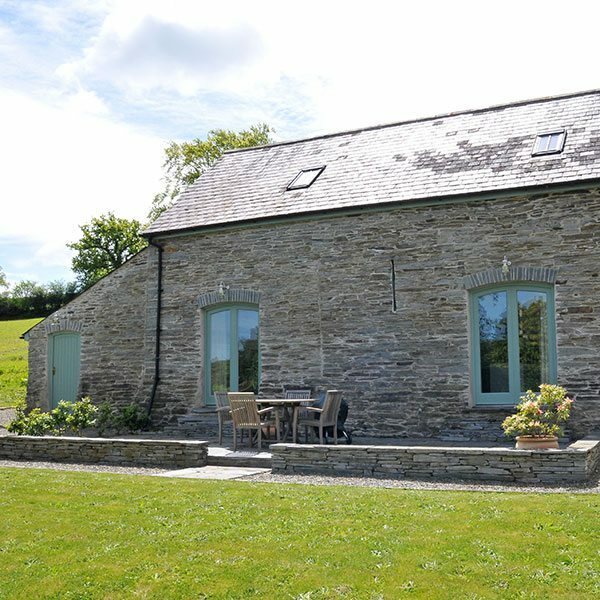 If, like my family, you’re travelling from afar, the onsite farm cottage, Dovecote, is the ideal place to stay and explore nearby Cardigan Bay. It’s a beautiful stone building set in the grounds, with two en-suite bedrooms and a large kitchen/living room for relaxing in. Can you turn fussy kids into healthy eaters?